In creating the interior of the living room, it is important to important to know the modern living room lighting ideas such as indirect lighting ideas for living room, living room false ceiling lights, False ceiling led lighting and wall LED lights for the living room. This helps to harmonize the design items in the living room and highlight the sectors if you want to accentuate them. 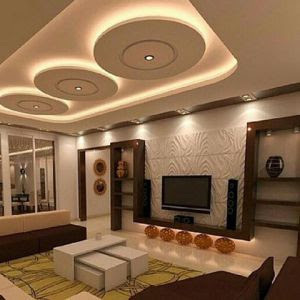 How to correctly make the lighting in the living room and we will reveal in this thread. 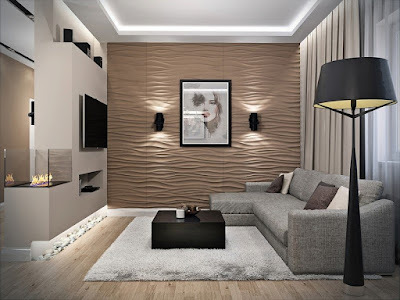 Modern living room lighting ideas allow you to make the room beautiful, it became fashionable to place pictures with illumination in the living room, which you could see earlier in the picture galleries. To properly illuminate the living room there are luminaires of the overhead type, which can be of different colors and contrast. The main view of the living room lighting, the placement of a large chandelier in the center. 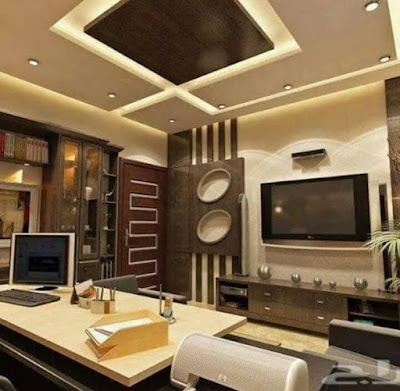 At the moment, there are many types of lighting organization that make the design more refined. 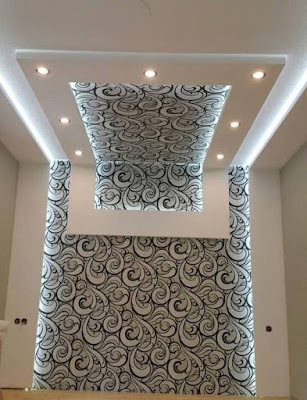 Choosing lights for the room is important to consider the dimensions if there is a lot of space, the ceilings are not low, then the large chandelier looks beautiful. 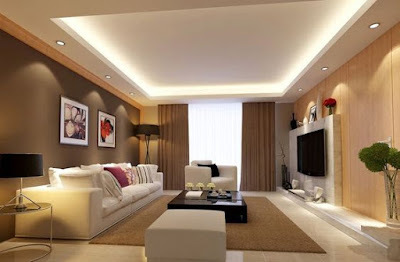 If the living room is small and the ceiling is low, then a recessed lamp or a small chandelier will look more harmonious. The element to which attention will be drawn can be a floor lamp or floor lamp. 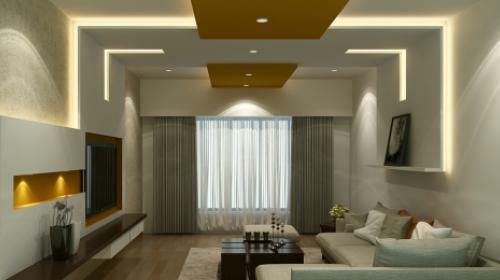 You can combine a spacious living room and kitchen, then space is divided into sectors, each one needs its own light focus. In the creation of light for the living room and kitchen, the largest lamp looks more advantageous above the plane of the kitchen table. In the recreation sector, photo lighting in the living room and places where the host takes guests is important to organize beautiful lighting. 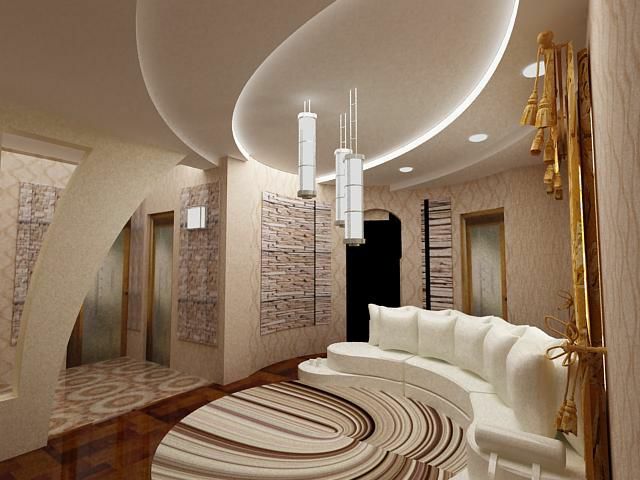 Exquisitely it will look like a floor lamp, which will be located near the sofa and built-in lamps. 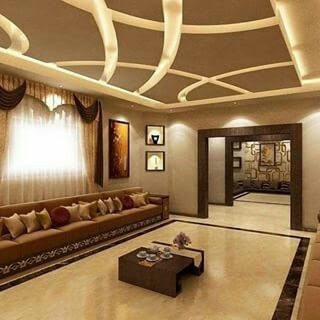 The living room false ceiling lights are not an easy task if you take into account some points. 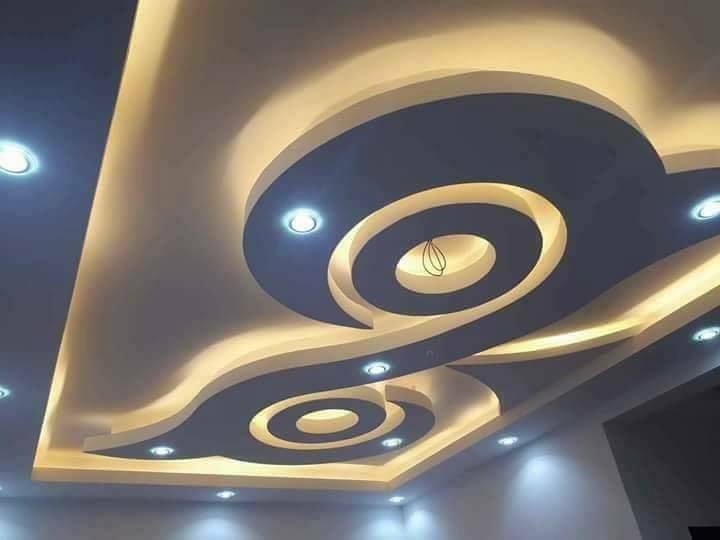 For example, if the ceiling is of architectural type and multistage, then it is important to make the illumination correctly. Each segment of lighting will be at its level. 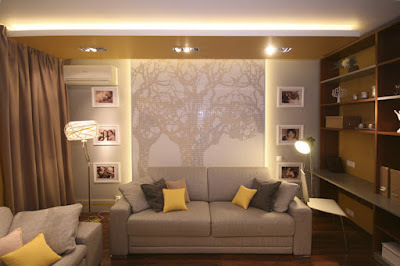 You can make a multifunction highlight to create a certain mood in the living room. 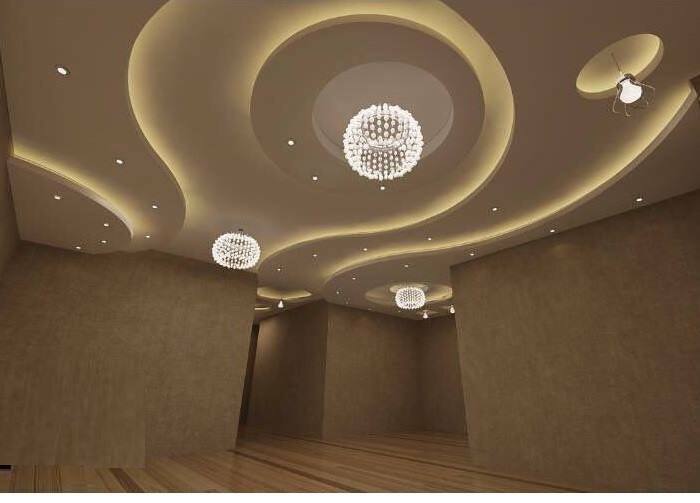 The central chandelier will be needed for working mood, and the side light will create an atmosphere of coziness or a romantic evening. This type of lighting is most often used to decorate the living room. It is created with the help of devices that reproduce direct streams of light that are directed at a certain point. That is why this kind of lighting is also called directional lighting. 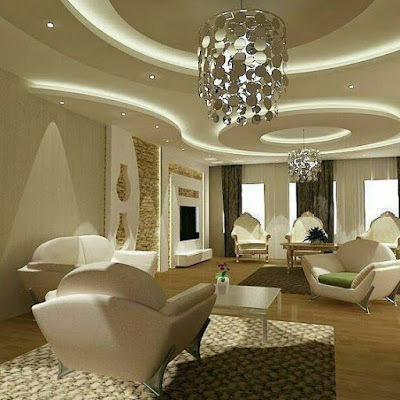 You can achieve the described effect, using chandeliers, floor lamps, table lamps and wall sconces for lighting the living room. All these devices will allow you to highlight selected objects in the interior, without spraying the shine on the sides. This type of lighting is considered to be traditional and ideal for both classic and new-fashioned interiors. The more the power of the lamps used in the lamps is, the more brightly the flow of light will result. 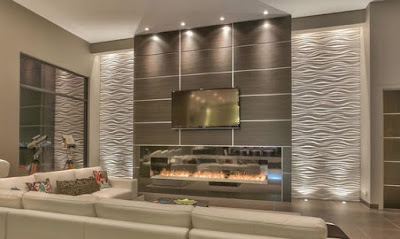 Unlike direct, reflected lighting has gained popularity not so long ago, but already successfully used in living rooms. Its feature is that the lamps themselves are not in sight - they are hidden behind special constructions in the walls or on the ceiling. The room is illuminated by indirect light, which emanates from them, reflected from the planes and spreads throughout the perimeter of the room. To arrange the living room in this way, bright LED lights are ideal. Indirect lighting ideas for living room give you trendy ideas which are very popular with young people, because it allows you to visually enlarge the room, and also donate its space. Without much effort, you can create a unique design, alternating between half-shade, flicker and bright lines from hidden lamps. 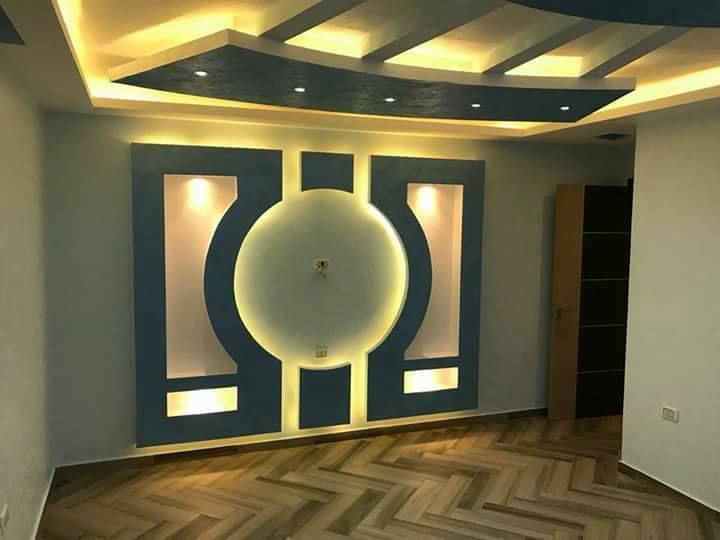 Especially the harmoniously named variant of illumination will be looked in a drawing room with a light finish, which will reflect the light falling on it as much as possible. Living room false ceiling lights play an important role in determining the proportions of the living room. Designers recommend installing fixtures on the walls so that the light stream hits the ceiling. If the fixtures are located at opposite ends of the room, the space will visually increase. 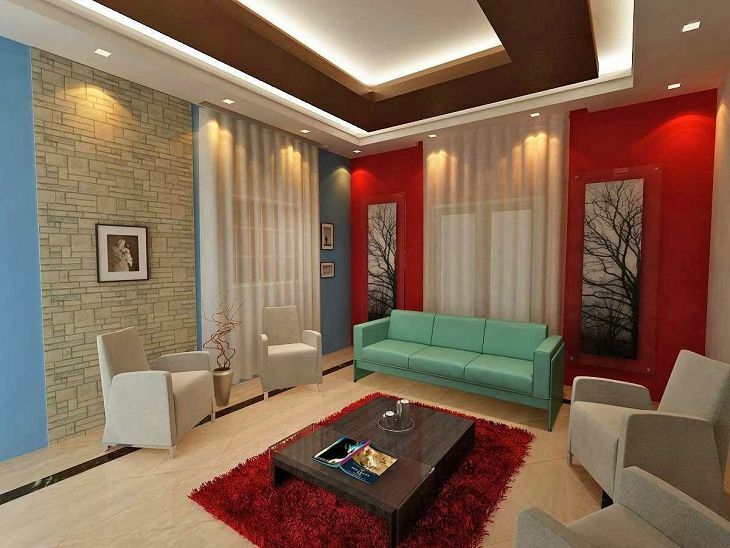 With the help of lamps in the living room, you need to highlight the most important parts of it. This is one of the main tasks of lighting. Attention visitors to the room can focus on the pictures. A special part of the living room can be a pool table in the corner of the room. For its lighting hang 2-3 lamps directly above it. The control of the light can be centralized with one remote or separate, that is, each regulator is made its own regulator. 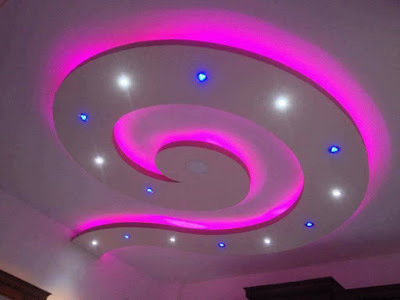 The design of the lighting system in the living room depends entirely on the imagination of its owner and the number of experiments is almost unlimited. It is best to choose lamps that work with economical lamps. This will reduce the monthly cost of electricity. Economical light bulbs produce the same amount of light as other light bulbs. Their light is pleasant and cozy. As soon as repairs begin in the living room, you need to determine where the lamps will be located and what role they play in the design. If any lamp will eventually fail, it can be replaced by another. Usually, the replacement does not require special knowledge so you can do without yourself, without the intervention of an electrician. 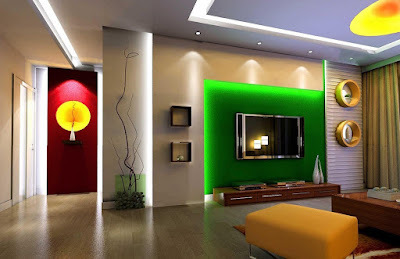 The temperature of the room depends on the lighting of the living room. 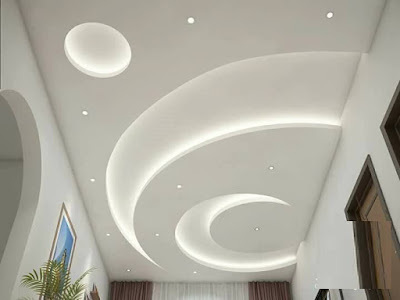 Very often, the light stream from an indirect light source hits the ceiling and is reflected from it. The reflected light is warm light. 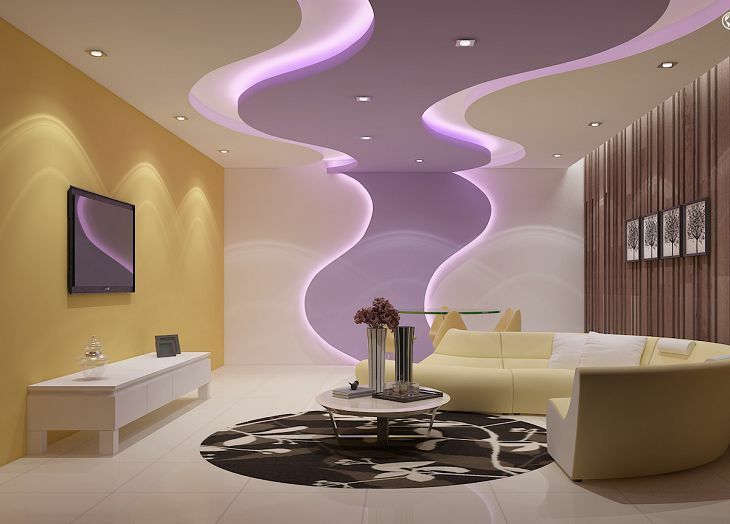 It is difficult to imagine a modern living room without a beautiful false ceiling led lighting. 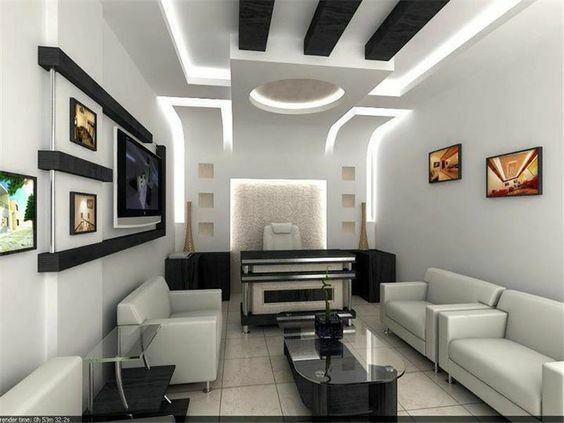 It should not only have enough power to fill the space with light, but also to match the stylistics of the room. 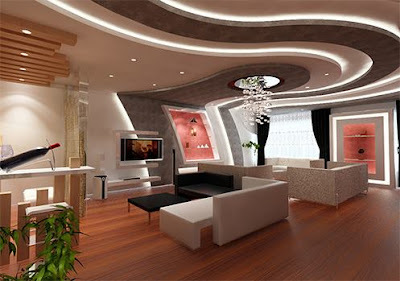 Most often, for ceilings in a living room choose pendant chandeliers with several planes, in each of which the bulb is located. This not only looks attractive, but it is also a pretty practical solution. You can adjust the degree of illumination in the room, including only the required number of lamps. 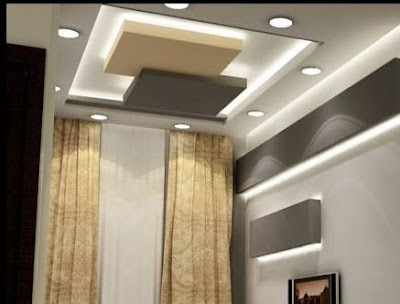 For interiors in the style of minimalism or modernism, it is appropriate to use the under-ceiling structures that are mounted directly into the living room ceiling. They are not as bright as a pendant, so they are more suitable for small rooms. Very impressive look such lamps, if they are placed around the perimeter of the room - creates a cozy and warm light. To create a friendly and truly homey living room, decorate its interior with table lamps. They can be placed on tables, as the name implies, as well as on chests or coffee tables. 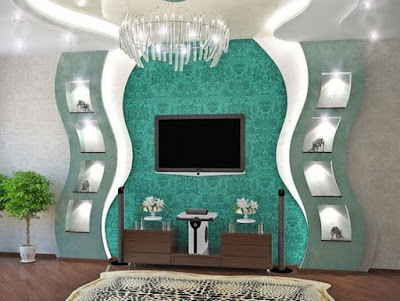 Similar lamps will fill the room with a pleasant and soft light, which will allow you to fully enjoy reading or watching TV without using basic lighting. And this not only saves your family finances but also makes the atmosphere cozier. Table lamps can have the most diverse design and mechanism of inclusion, so choose any option you like. To draw attention to the furniture on which such a lamp is mounted, give preference to unusual models whose stylistics and color will contrast with the surrounding environment. 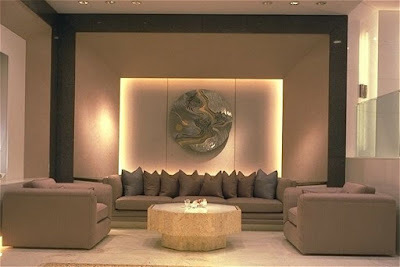 The living room in each apartment is a visiting card, according to which the taste of the owners is often appreciated. 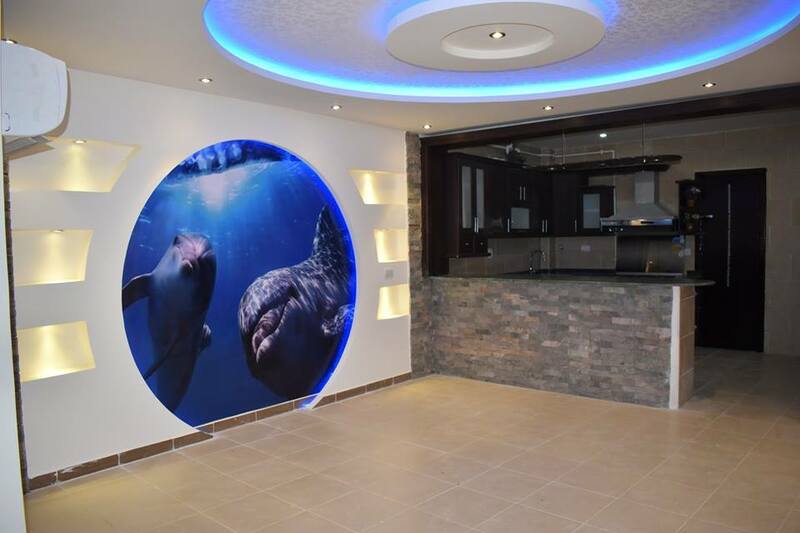 Its dimensions and style can be different, as well as the chosen furniture, materials for finishing the walls, floor and ceiling. But it is the fixtures that can become that final point in the repair, which will bring together all the elements of the interior and, at the same time, emphasize the merits of each of them. Therefore, If you are going to make your interior in modern style, you should also choose one of the modern living room lighting ideas when you choose lights options.